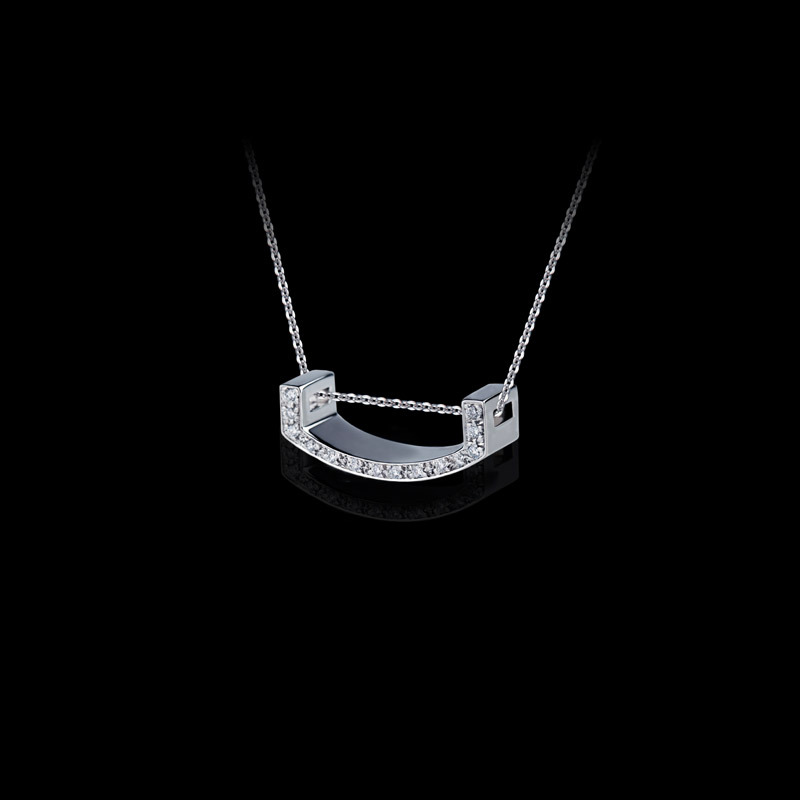 Canturi Alphabet 'U' diamond pendant and chain in 18ct white gold. Canturi Cubism 9mm punch set ring with baguette and carré cut diamonds in 18ct white gold, also available in yellow and pink gold. 'Stella' diamond ring in 18ct white gold with Green emerald.